Why not celebrate this Fourth of July by savoring some bourbon, a truly American spirit. Here's a brief history of our national whiskey. NEW YORK (TheStreet) -- Bourbon has regained its position as most popular spirit in the U.S. Buoyed by the popularity of cocktails and craft distillers, the corn-based whiskey overtook vodka last year as the top-selling spirit category by dollar volume, a trend that seems poised to continue. Because bourbon is a truly American drink, the Fourth of July is an appropriate time to delve into its history -- and savor a glass or two. Bourbon owes much of its commercial appeal to the connection it offers drinkers to the American past. That link is largely mythological, argues Reid Mitenbuler in his recently published book Bourbon Empire: The Past and Future of America's Whiskey. Mitenbuler describes the skillful marketing and brand management that have been essential to bourbon's commercial success for more than a century. Noah Rothbaum offers an excellent companion volume to Bourbon Empire in The Art of American Whiskey: A Visual History of the Nation's Most Stories Spirit, through 100 Iconic Labels, which includes images dating back to the 19th century as well as recipes for period cocktails. Below, we offer a short history of American whiskey based on these two books. Scottish-Irish immigrants started coming to the U.S. in large numbers in the early 18th century. They brought with them their accent, their music, their language -- including words such as "redneck" and "cracker," Mitenbuler tells us -- and their methods of distilling grain. In the old country, they applied these techniques to barley, but in America corn was far more plentiful. The term bourbon didn't emerge until the 1860s. It derives from the French House of Bourbon, but the origin of its application to American corn whiskey remains under dispute. Some claim it refers to Bourbon County in Kentucky, others that it comes from Bourbon Street in New Orleans, whose residents consumed most of the product. Mitenbuler theorizes that merchants may have come up with the name to appeal to New Orleans residents of French descent. 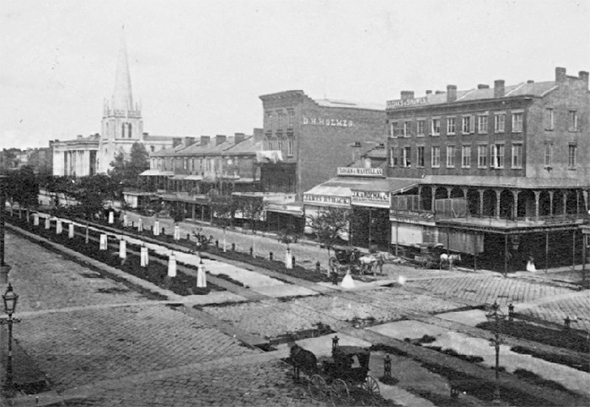 Bourbon hit its stride in the decades after the Civil War, when rapidly developing transportation and communications networks started to knit the U.S. into a single market. 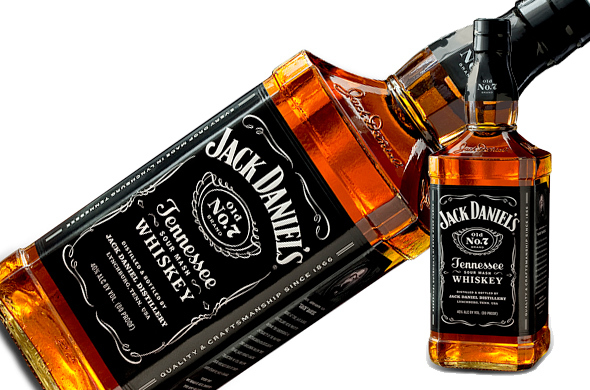 Brands such as Old Forrester, Early Times and Jack Daniels date to the late 1800s. Old Forrester was also the first U.S. whiskey to be sold in sealed bottles. Previously, the spirit was transported in barrels to a merchants whose customers carried their purchases away in their own reusable containers, a practice that continued into the early 20th century. 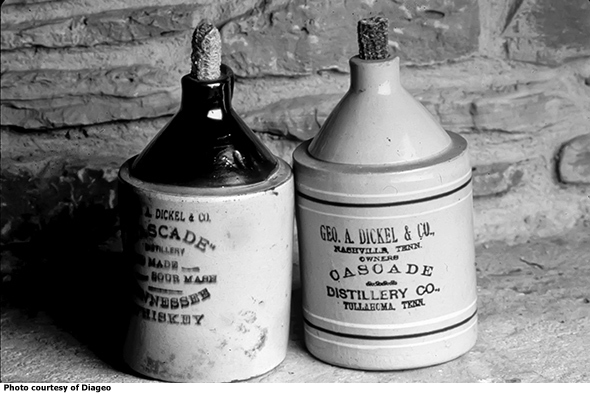 Above are two ceramic jugs from George Dickel; note the corncob stoppers. Prohibition is the great hiccup in the history of bourbon. After the 18th Amendment went into effect on Jan. 17, 1920, six companies were allowed to continue selling 100-proof spirits for "medical reasons" during prohibition. Those six consolidated not just brands and stocks of aging whiskey but the industry itself. Several of the six, including Brown-Forman (BF.B - Get Report), were based in Kentucky, where 95% of bourbon is now produced. 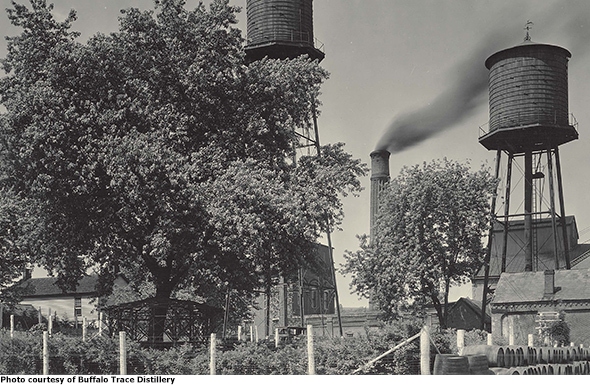 Prohibition's biggest loser may have been Peoria, Ill., which was the center of American distilling before 1920 and produced an average of 185,000 gallons of spirits every day. Above is a picture of the George T. Stagg distillery in Frankfort, Ky. at the end of Prohibition. Industry consolidation continued long after the end of Prohibition. In 1956, Brown-Forman bought Jack Daniels, an obscure brand of whiskey made in Tennessee that had some noteworthy fans including Winston Churchill and William Faulkner. A Brown-Forman marketing agent named Angelo Lucchesi was friends with Frank Sinatra and made sure he always had a bottle of Jack nearby. Sinatra called Jack Daniels the nectar of the gods. That endorsement, combined with Brown-Forman's marketing budget, boosted sales by 10% annually for two decades and caused them to triple in the decade thereafter, according to Mitenbuler. While Brown-Forman was on its way to building a beverage empire, bootleggers continued to make moonshine illegally throughout the South. To sell it, they often needed to outrun or outwit the police who pursued them on country roads. Nobody was better at beating the coppers than Junior Johnson, the subject of Tom Wolfe's great essay "The Last American Hero," which was published in Esquire magazine in 1965 and became part of Wolfe's first collection of essays, The Kandy-Kolored Tangerine Flake Streamlined Baby. Johnson was such a great driver that "the alcohol tax agents used to burn over him," Wolfe wrote, but he found a legitimate outlet for his skills, becoming one of NASCAR's first superstars. 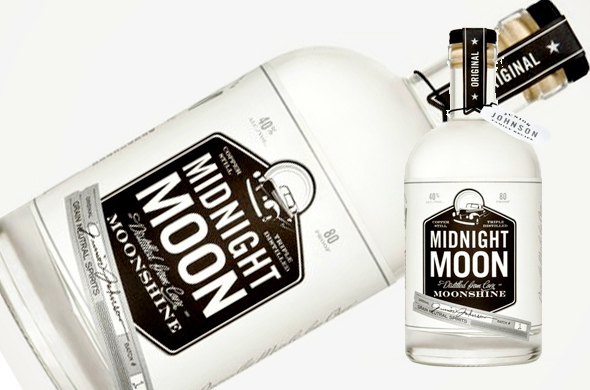 Junior Johnson, now 84, produces his (legal) Midnight Moon moonshine in a range of flavors, many of which come in Mason jars like the ones in which he used to transport illegal booze. As stunning as the rise of Jack Daniels was, vodka enjoyed even greater success in the U.S. after World War II. Sales went from 40,000 cases in 1950 to 4.4 million five years later and kept rising until vodka sales surpassed those of whiskey in 1976. 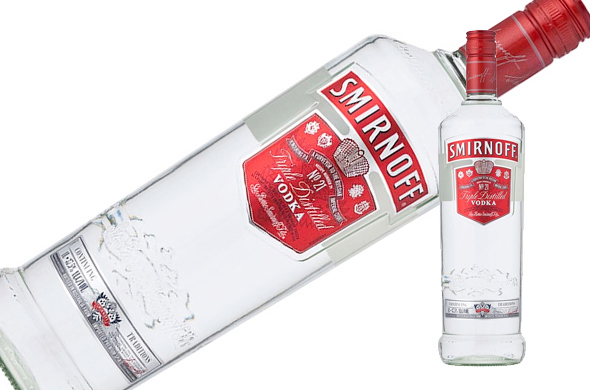 Smirnoff inspired the trend and was its primary beneficiary, though a slew of other brands have capitalized, including Grey Goose, Ketel One and Absolut. Vodka is a neutral spirit, however, which makes selling craft, small-batch or super-premium versions difficult. Maker's Mark turned out to be a forerunner of the brands that would drive bourbon's resurgence. First produced in 1958, its packaging and a 1965 ad campaign that boasted "It tastes expensive ... and is" positioned it as an upmarket drink. Bill Samuels Jr. promoted Maker's mark by getting it onto airline beverage carts in the 1970s, which launched 20 years of double-digit annual sales growth. 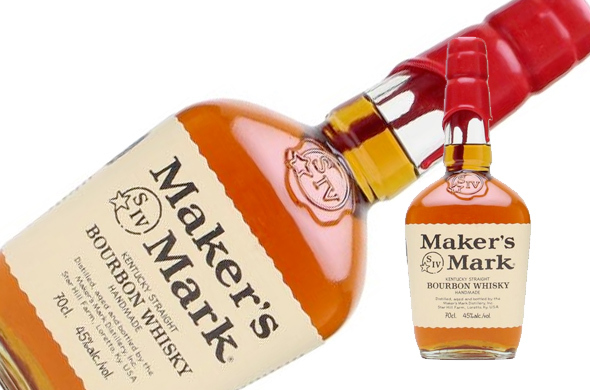 Once a family operation, Maker's is now owned by Beam Suntory (BEAM. Maker's Mark ended up becoming a mass-market product, but it conditioned bourbon drinkers to search out and pay up for unfamiliar brands with distinctive stories and flavor profiles. The most elusive is Pappy van Winkle, about 8,000 cases of which are produced every year and bottles of which can go for more than $1,000. 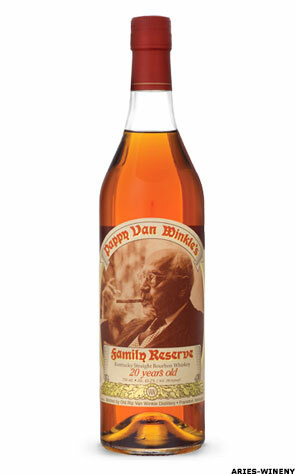 Pappy comes in 15-, 20- and 23-year versions, which are exceptionally old for a bourbon. Mitenbuler quotes Bill Samuels as saying, "I never tasted a 20-year-old whiskey I could drink, because it's all just wood, it's all tannins. But you get your mind adjusted -- 'I paid all this money, I gotta like it.'" Dozens of small producers have entered the whiskey market in the last decade, but 13 distilleries still produce more than 95% of the whiskey made in the U.S., and Pappy's success has not been lost on the big companies that own these distilleries. 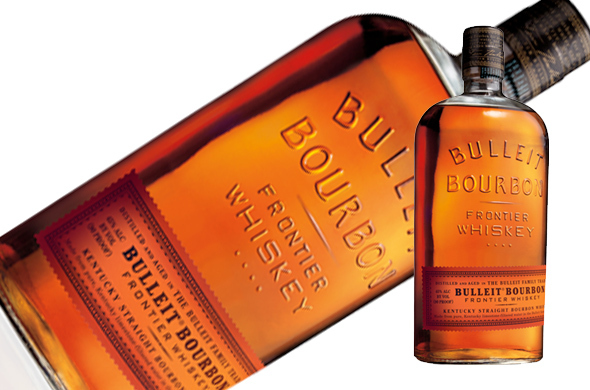 Diageo's bourbon offering is Bulleit, which has rugged, attractive packaging. Its Web site features a greeting from Tom Bulleit, the great-great-grandson of 19th century Augustus Bulleit. The site makes no mention of Diageo.